My love for solo travel knows no bounds—the freedom and empowerment of escaping to a far away destination alone is simply exhilarating. But after leaving my plus one stateside for my last two adventures, I knew it was time to take the plunge into traveling as a party of two. I’ve said it before, and I’ll reiterate: if frequent travel is in your life plan, you should absolutely take a trip—preferably international—with your significant other early in the relationship. International travel presents unique circumstances that can give you a glimpse into how you navigate unfamiliar territory together, and it gives you the opportunity to see how well you can hash things out together (or not) on the fly. And so it came to pass that when May finally rolled around this year, after a particularly long winter and cold spring, my S.O. and I were daydreaming of someplace warm. 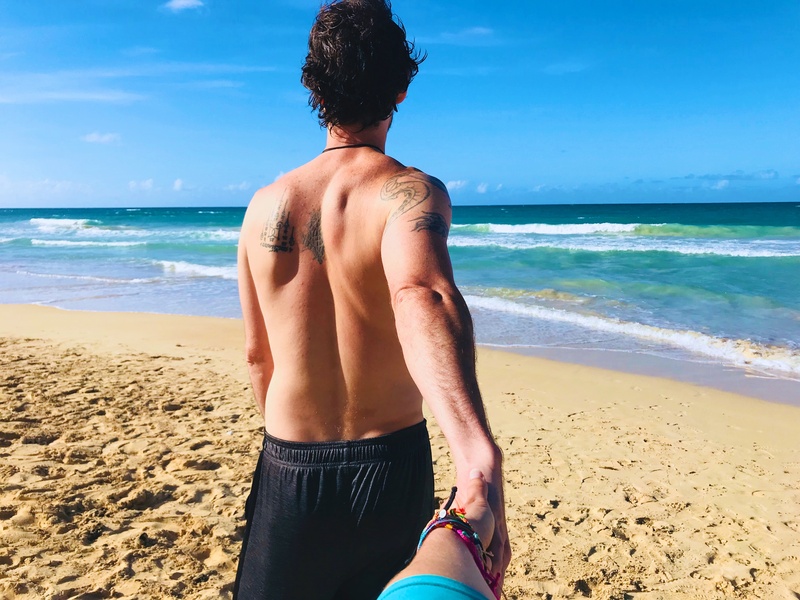 We found some cheap flights to Punta Cana, along with a quaint little B&B, and booked the trip for three weeks later. The process of planning the trip—from finding the hotel to booking activities—gave us the opportunity to share what was important to us in travel and presented more than a couple of opportunities for compromise. It also highlighted that we had quite a few similarities in what we wanted to do. At the top of my list was surfing and SCUBA lessons, which he was incredibly excited about as well. While I would normally want to spend every day on the water, he’s a mountain and hiking enthusiast and wanted to experience some of the island’s interior spaces. I really wanted to get on a catamaran at some point, which he could take or leave. I took the lead on finding the best surfing and sailing tours; he scoured for an inland Jeep tour and a SCUBA lesson. After a few days of living on Trip Advisor and Viator (my favorite travel sites! ), we landed on all our activities, mapped them out on a schedule and then booked them. Before we finally set foot in the sand, there were lots of discussions about our travel styles—how much we needed to pack, how we’d manage the budget, what we’d do for food, etc. Most conversations were easy. At least one was not, but it was a healthy conversation that provided great insight into how we approach being in a foreign country and enabled each of us to share our perspectives on the way we do things. The trip was amazing but not without its hiccups. In the first 12 hours, an unexpectedly tiny hotel room, finicky A.C. and one particularly underhanded local “salesperson” gave us opportunities to work through some sticky situations in real time. But we worked together a team, hand-in-hand, and turned things around by the time we hit the first wave that next morning. From the surfing lessons that day through the sailing trip, Jeep tour and SCUBA—we discovered that we travel incredibly well together. We rolled with the punches and reveled in the amazing adventures we were lucky enough to experience. The Jeep tour that wouldn’t have normally been on my list if I were traveling solo turned out to be one of the highlights of the trip for me. And he loved playing in the ocean more than I could have ever imagined. There will always be a part of me that is partial to solo travel. But after this experience, I can honestly say that when you travel with someone whose style matches your own—someone who can keep cool and calm (and even laugh with you) in the face of adversity while finding joy in the same kinds of adventures—well, that’s just priceless.